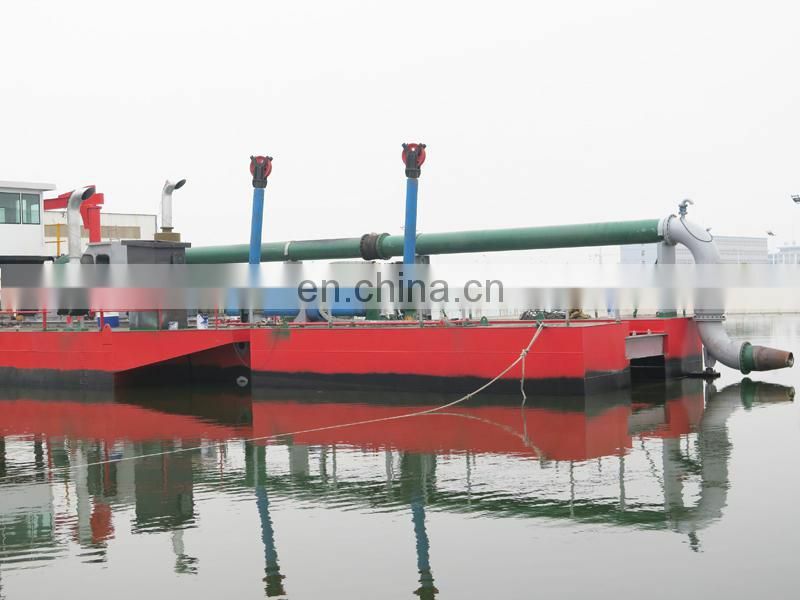 The two side pontoons are coupled to the main pontoon by means of wedges at their bottom and flanges with bots at deck level. 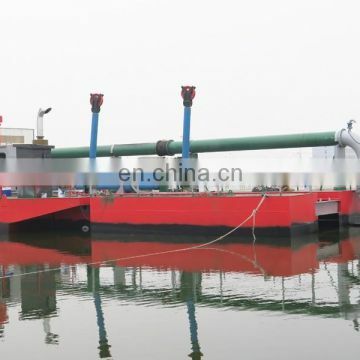 And the two tail pontoons are connected to the two side pontoons. 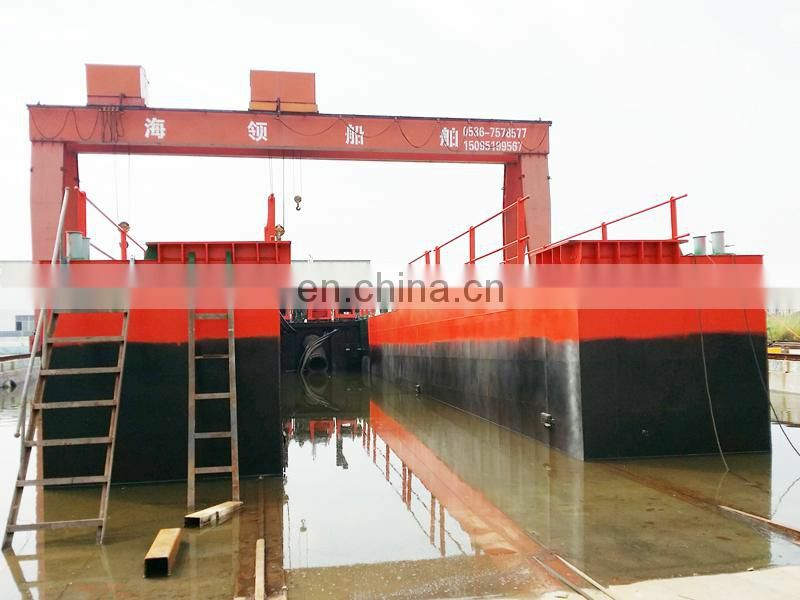 The main engine, auxiliary engine and generator are installed in the main pontoon. 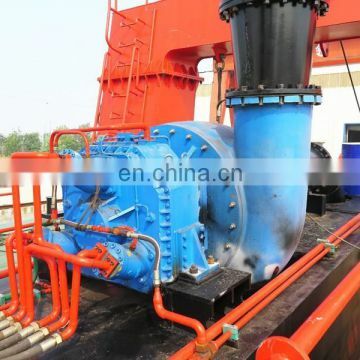 The main engine supplies power for dredge pump through reduction gear box. 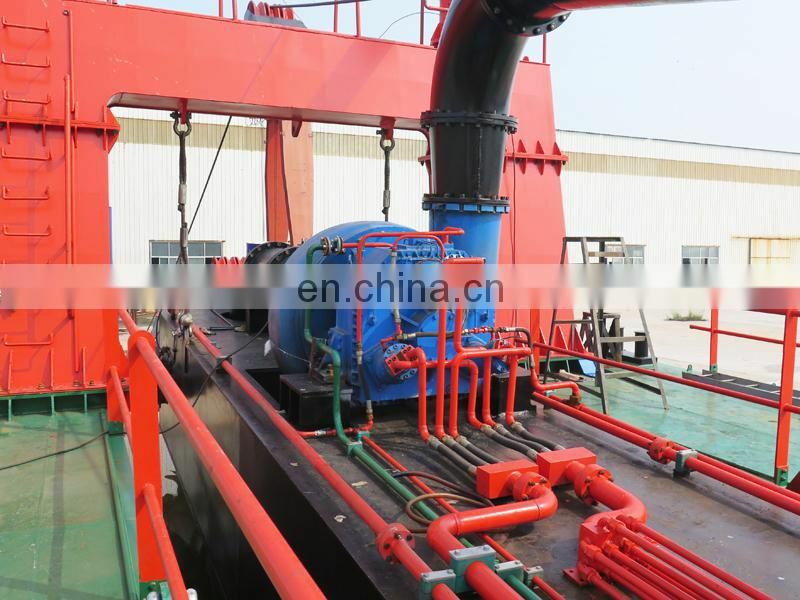 The auxiliary engine supplies power for hydraulic and control system. The generator supplies electricity for emergency use and lighting when stop work. There are two options for main engine and auxiliary engine: Cummins engine or DEUTZ--MWM engine. The after-sale service is all over the world for Cummins engine, while it has higher requirement on diesel oil and engine oil. 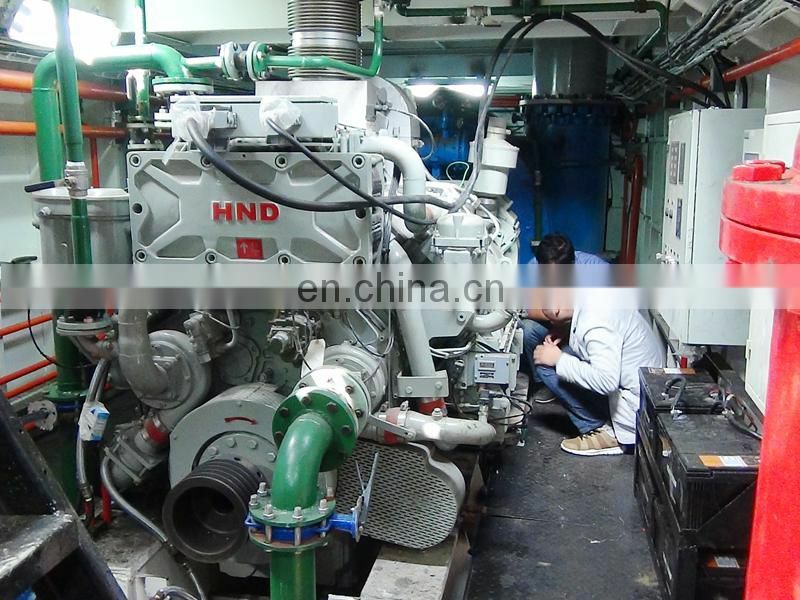 NO after-sale service for DEUTZ--MWM engine overseas, it is easily for maintaining and repairing, spares are cheap can be selected with dredger. 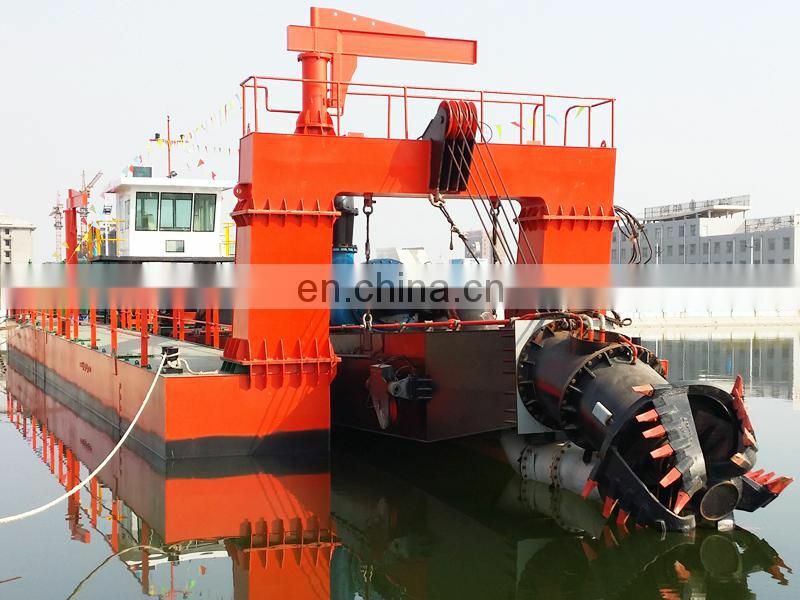 The HLC450A/18inch cutter suction sand dredging boat is equipped with double dredge pumps, the maximum dredging depth can deep to 20m underwater. 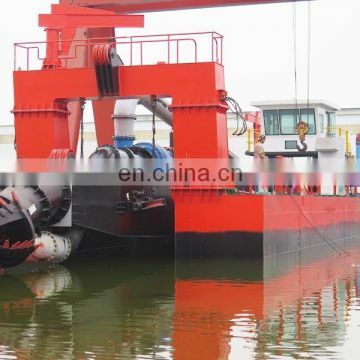 The Trolley equipped on the HLC450A/18inch cutter suction sand dredging boat, can carry spud automatically to increase the productivity. 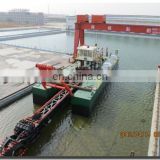 It moves in the pathway of the coupled tail pontoons, driven by one horizontal hydraulic cylinder. Each travel distance is 4 meters. 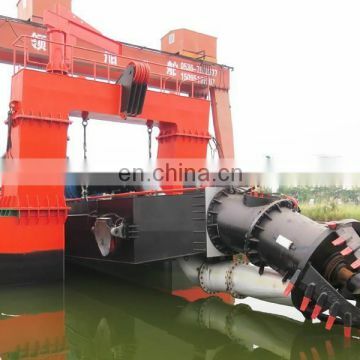 The cutter ladder is a well-welded steel structure, with adequate dimensions and scantlings to sustain the various external forces at the dredging depths. 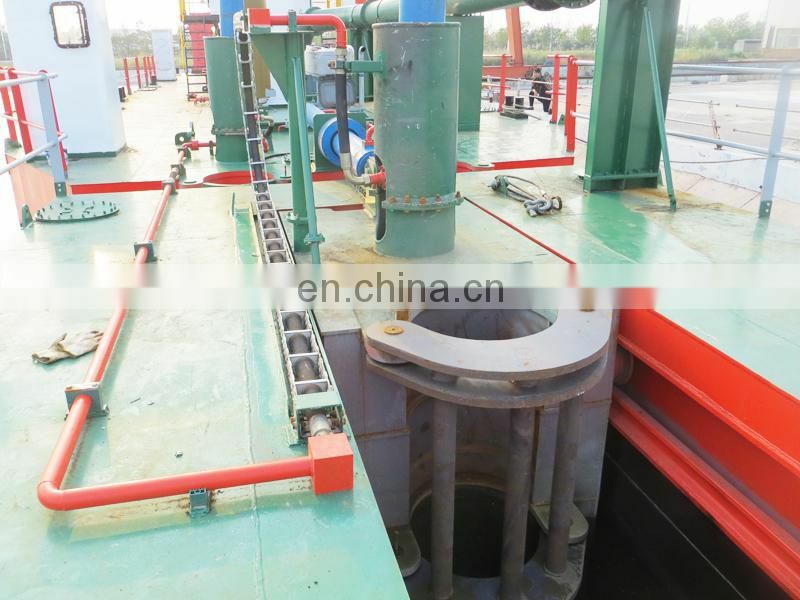 The underwater pump is installed on the ladder and very close to the cutter head. 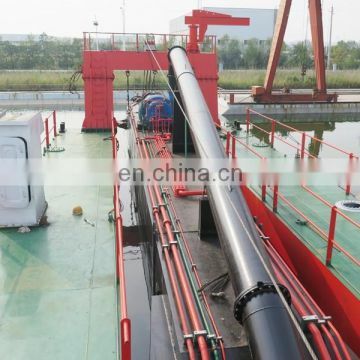 A suction pipe runs from the cutter to the underwater pump and then goes upper end of the ladder, connected to dredge pump of engine room by a hose. 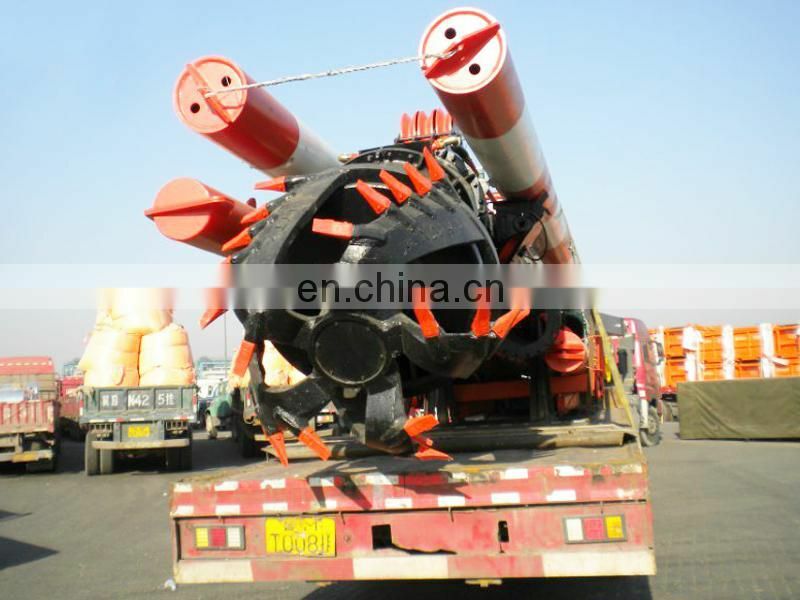 The cutter head is driven by hydraulic motors, its shaft is sealed in lubrication oil with bearing. Each cutter has 5 blades, 6 teeth on each blade and it’s easy to replace when the cutter teeth is broken. - one locates on the deck, is for lifting of dredge pump parts out of the engine room and any other items requiring handling. 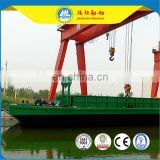 - the other locates on the gantry, is for lifting of underwater pump parts. If happened, cost at the buyer's side, then the seller’s responsible for repair or delivery new spares. 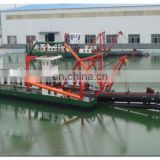 After the dredger shipped to the work site, the seller sends two qualified and experienced engineers for installation and training work. The buyer arranges 6-8 workers as assistants to install and debug. Working efficiency is related to operating skill of the workers. 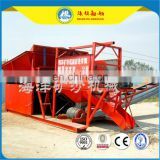 Generally, it costs 15-30 days for installation and training workers how to operate this machine. 3.3. 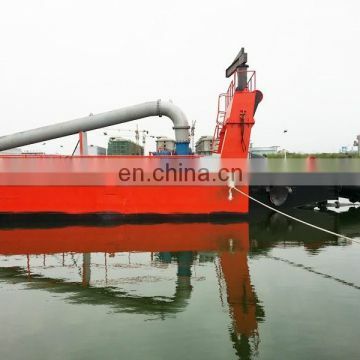 Why is the dredger shipped in bulk not in container? 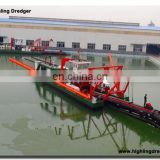 The dredger is large and can’t be putted into container. 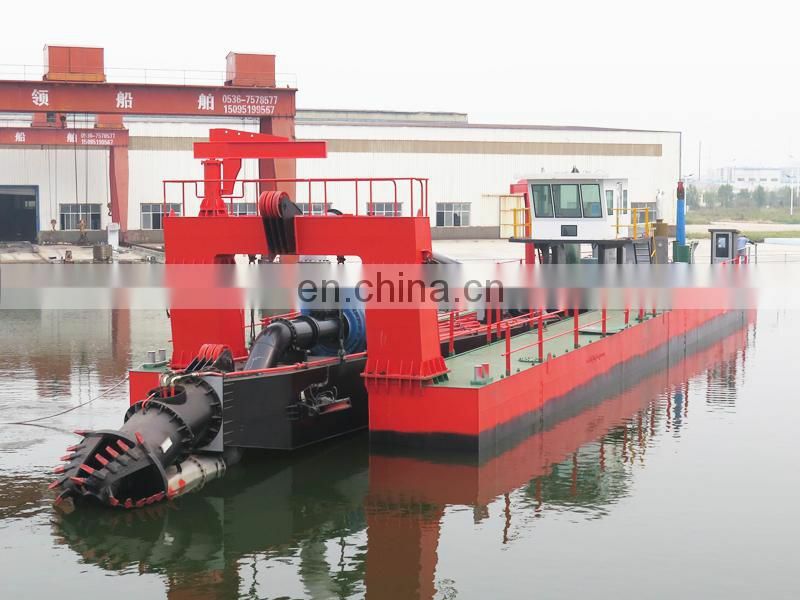 What’s more, if the dredger must be shipped in container, the engine room must be designed smaller, but no adequate space and access for maintaining or repairing in the long run. Thanks a lot for your visit! Any question, kindly feel free to contact me. This is Jessie here.